Originally slated for release before Christmas, Razer's ambitious Blade gaming laptop has run into supply issues pushing shipping back to mid to late January. Don't cry, they're throwing in a free gaming mouse. You can't cry when there's a free mouse involved. 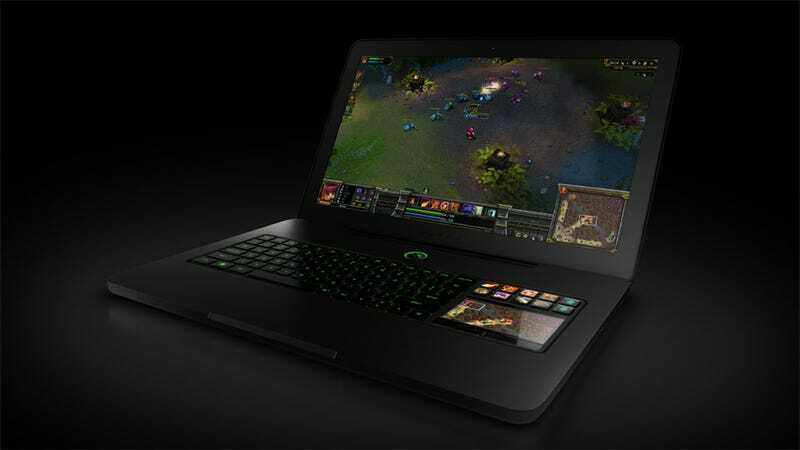 In a comment posted on Razer's Facebook page earlier this week, company CEO Min-Liang Tan apologized for the unexpected delay of the Razer Blade, apparently caused by a smaller-than-expected supply if the 256GB solid state drives the $2799.99 gaming laptop were recently been upgraded with (the system was originally configured with a 320GB SATA drive). While Razer didn't add to the price of the machine to reflect the $300-$500 price of the new drives, it looks like customers will instead be paying in time. We apologize to all those of you who have been eagerly looking forward to getting a Razer Blade for yourself for Christmas and we're truly sorry for disappointing you. Hopefully we'll be able to get our hands on one of these babies somewhere around launch time so we can let you know how well $2,800 of laser-focused gaming laptop works out.